748 E Avenue K6, Lancaster, CA.| MLS# SR19044432 | Southern California Homes for Sale. Search properties Southern California. 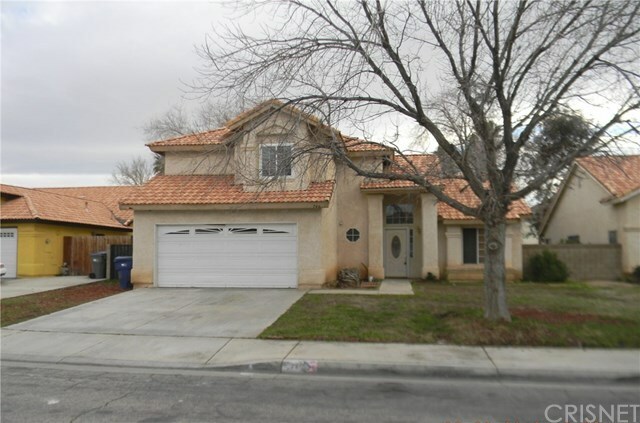 Great two story home in Lancaster on a cul de sac! Home features include four bedroom and three bathrooms. Large Master suite with full bath and shower. Home needs some TLC but has a great open floor plan and plenty of room. Convenient Laundry room inside home. Country kitchen opens to spacious living room. Formal dining area and front room for entertaining or home office. Nice paved side yard with a gate for toys or storage area. Big back yard with patio, storage shed and plenty of room for entertaining and outdoor activities. Close to schools, shopping, restaurants and freeway access. See attachment for PAS requirements and WFHM offer submittal information in MLS document section.